Cincom® ObjectStudio® 8.9.2 and Cincom® VisualWorks® 8.3.2 Are Here! It is our pleasure to bring you the current version of Cincom Smalltalk™. 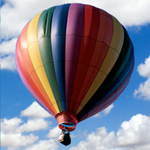 This release includes the releases of Cincom ObjectStudio 8.9.2 and Cincom VisualWorks 8.3.2. This screencast demonstrates a tool that can explore Windows processes and resources and shows how to access low level Windows functionality from Smalltalk. BREAKING NEWS: Cincom Smalltalk™ Maintenance Release Now Available! 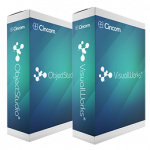 Cincom® ObjectStudio® 8.9 and Cincom® VisualWorks® 8.3 Are Here! Posted on September 19, 2017 by Author Jeremy Jordan in Categories Cincom Smalltalk Foundation, ObjectStudio, VisualWorks1 Comment on Cincom® ObjectStudio® 8.9 and Cincom® VisualWorks® 8.3 Are Here! BREAKING NEWS: Cincom® ObjectStudio® 8.8.1 and Cincom® VisualWorks®8.2.1 Are Here!